During his six months-- and counting-- as General Manager of Charlotte, North Carolina's Crowd Surfer Magazine, Neal MF Harper has identified a few key areas where the local arts and music publication could benefit by increasing its efficiency. One such operation is the process by which deliveries are made to businesses and locations in the surrounding area. 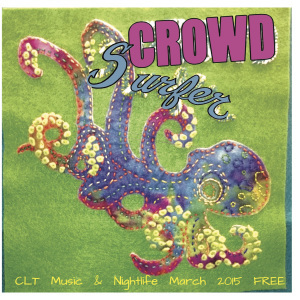 Crowd Surfer publishes a monthly arts magazine that gets distributed to nearly 100 locations in the Charlotte area. Each month, Crowd Surfer's crew is tasked with making sure each location gets its delivery. When Neal first began with Crowd Surfer, he noticed immediately this process was causing a lot of confusion for the people involved with deliveries. Before AppSheet, distribution was fully conducted over SMS texting. According to Neal, this would create all kinds of confusion for everyone. He'd have to alternate among texts to see who was going where and when. Some people wouldn't respond to texts. He described how he had driven across town to deliver to different businesses on a few occasions, only to realize someone else had already hit that location. Deliveries were happening blindly, without synergy and collaboration. 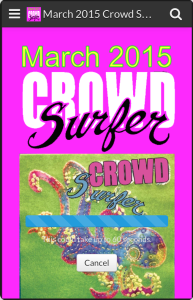 Neal discovered the AppSheet add-on for Google Forms the day before Crowd Surfer's March edition went to press. He tinkered with his app and had a working model functional by the next day. The team was able to successfully employ the use of the app for the March delivery. Neal implemented some key features in his app to make sure it showed the correct information in an organized way. He specified slices to create special views for finished and unfinished tasks. 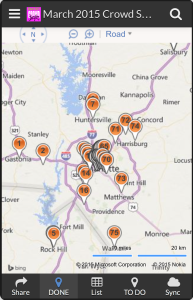 He also used the mapping function to pinpoint each location and assign deliveries to appropriately located volunteers. For next month's collaboration, with the app, people will also be able to "call dibs" on locations-- allowing the team to see, at a glance, which businesses still needed the future delivery. In fact, the app was so helpful in streamlining the delivery process that the magazine will increase their distribution by 20% in April. It has allowed Neal and his team to identify which locations are and are not being served efficiently, therefore giving them the intuitive ability to distribute more where needed and save costs on printing where unnecessary. Click here to get started creating your own apps!